Detail of Georgian style fireplace. Carved and painted Limewood. This detail is from a reproduced 18th century fire place carved in many component parts, from the layers of egg and dart, dentils and waterleaf moulding down to the corner blocks, brackets and frieze. 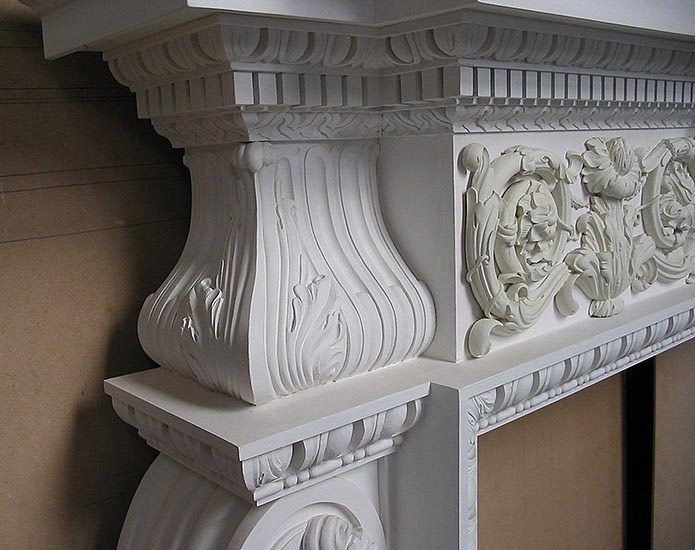 The fire place was made in Limewood and then painted.